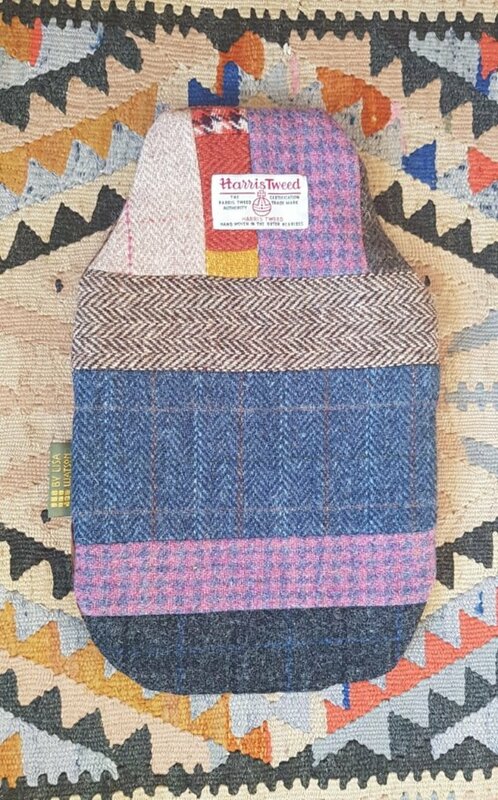 Keep warm and cosy during wintry weather with a Harris Tweed Patchwork Hot Water Bottle Cover – one of a kind & 100% British Made. 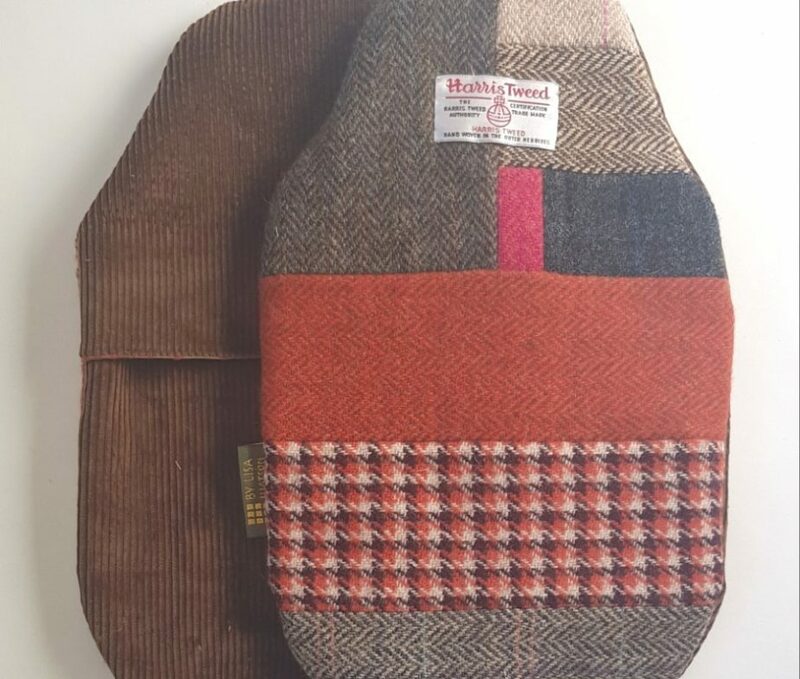 A request for a Harris Tweed Patchwork Hot Water Bottle got me thinking…so they are now available using my Harris Tweed fabrics for the top with soft British corduroy on the back, so if you have a preference for colours and fabrics just ask, as I am making these to order. 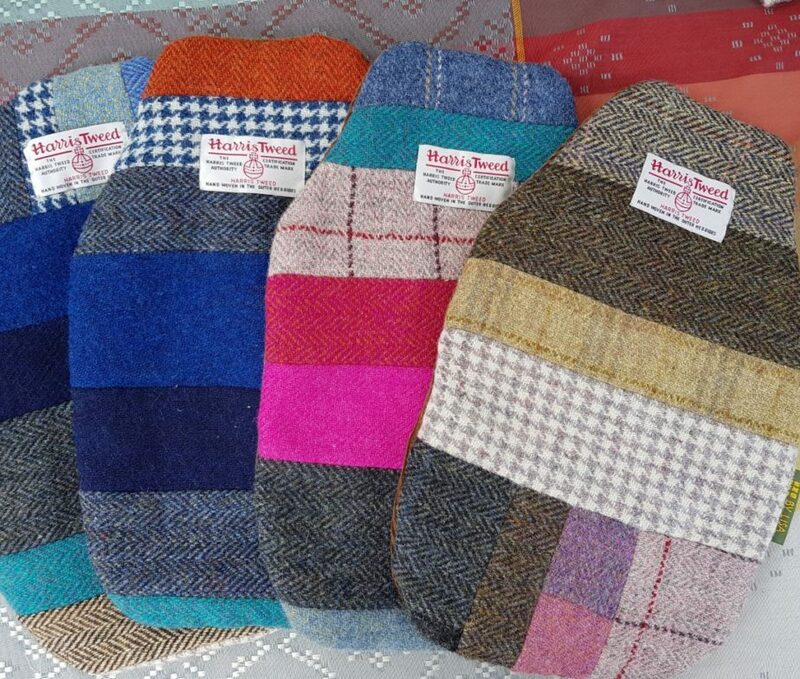 All hot water bottle covers are fully lined, with hidden seams and fit a 2L hot water bottle. 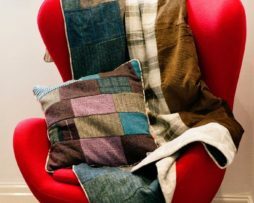 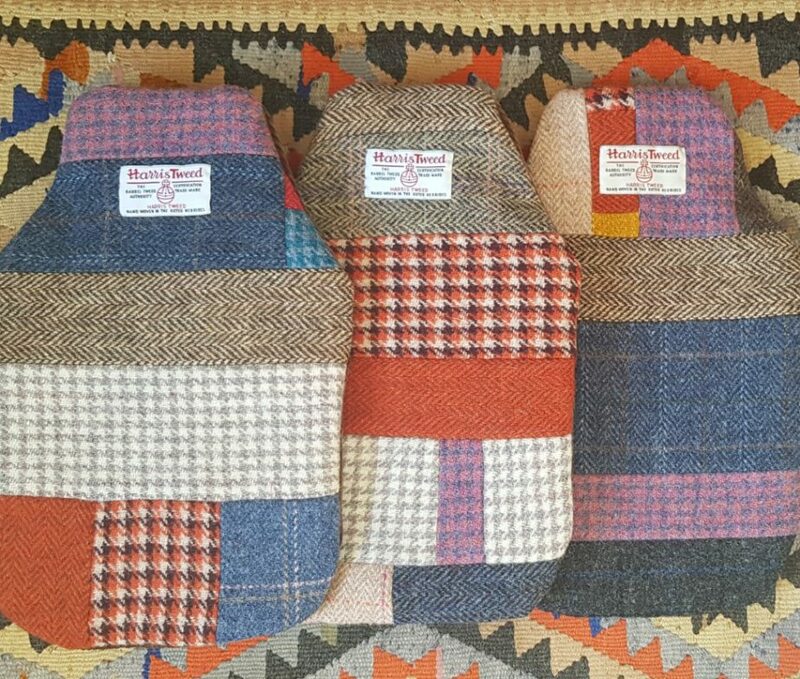 As these Harris Tweed Patchwork Hot Water Bottle Covers are one of a kind, there is up to a 2 week making time from ordering. 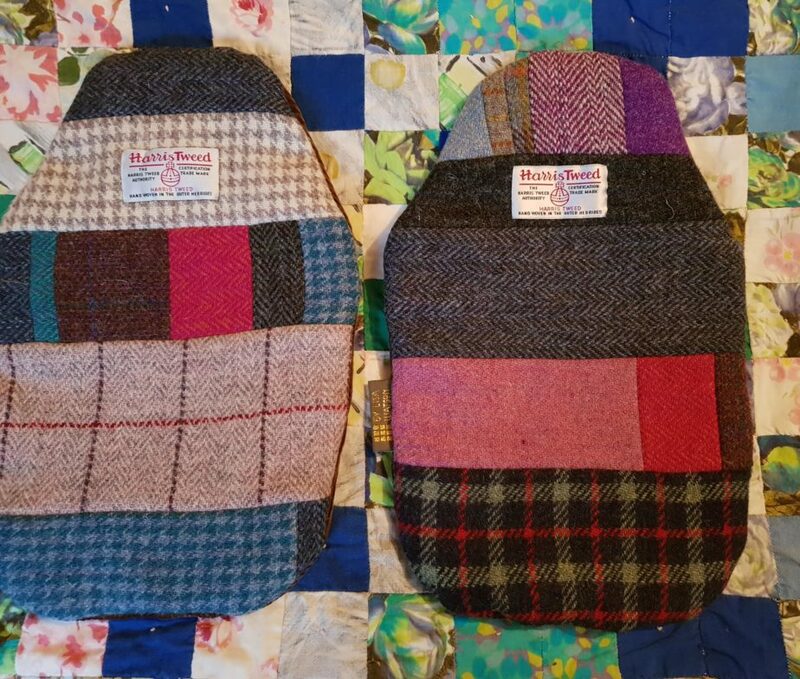 PS I have included free P&P in the price to GB and European destinations for ease of purchase. 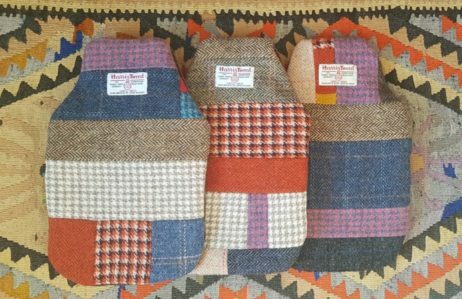 If you live further afield, happy to send abroad for just £5 P&P ROW. 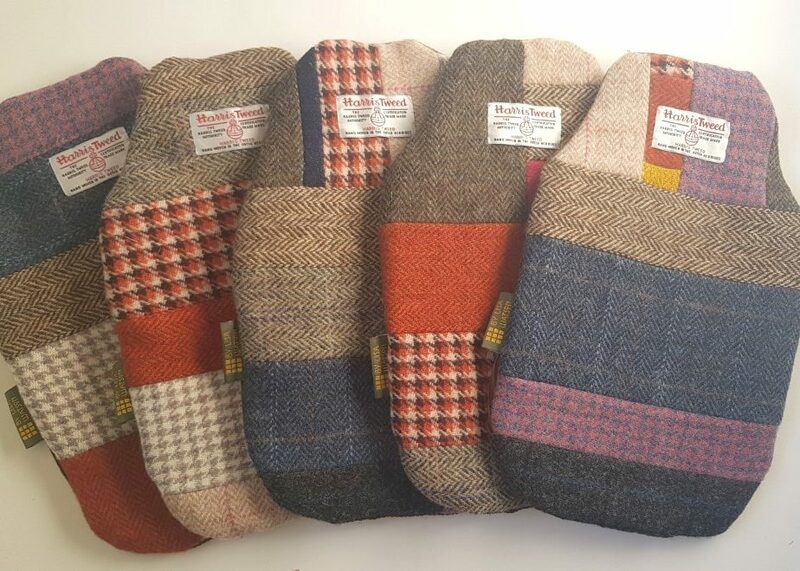 Hope this helps? 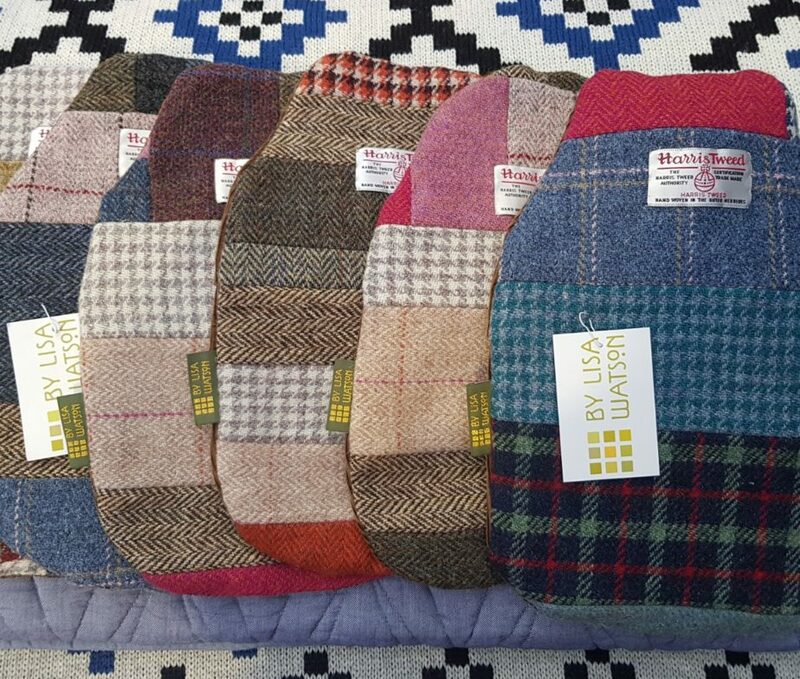 Very well made with a good selection of colours and very cosy. 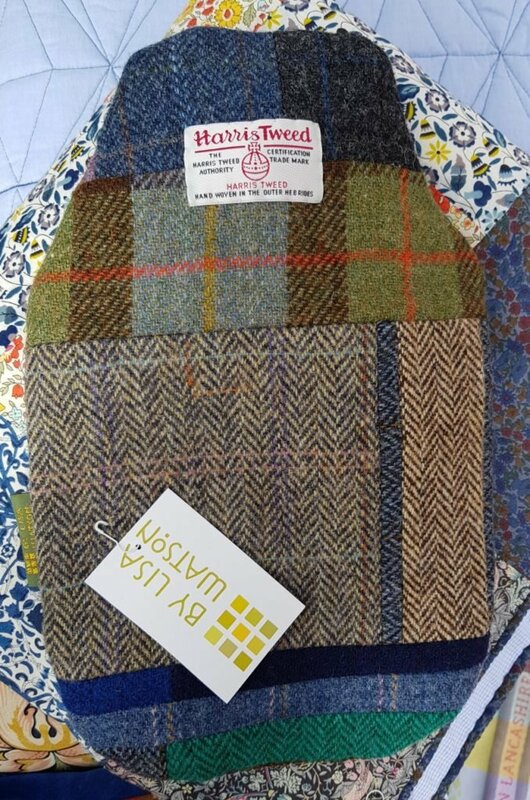 I can see me having this cover for many years.